Nowadays everyone has email Ids on different platforms like Gmail, yahoo, outlook, Hotmail etc but if we talk about popularity then Gmail has a major share in this area. People create numerous Ids as an Email Id is required at every place on the internet. But we often have some queries related to Gmail account. Out of these the most asked question is how to delete Gmail account.So in this article, we are going to share step by step process to do it. We will also answer some other queries related to Gmail account. So if you want to delete your Gmail account, so here is the step by step process. At first sign in your Gmail account. Then in the upper right side corner of your account, you would see a circular icon which will show your profile picture which you have set. Click on it. This will show your Google Account profile and then click on “My Account”. This will open a new page in the new tab. This new page will show your various options. In those options, you would see “account preferences” option. Under Account preferences option you will see the option “Delete your account or services”. Click on it. This process will open another page which would show you two options: Delete Products and Delete Google account and data. If you will choose to Delete Google Account and data, then it will delete all your account such as Ad words, AdSense etc related to that Gmail Account. If you want to delete only Gmail Account then choose “delete Products”. Then type the password of your Gmail account and press enter. Click on “next” and then click on the “trash” icon. Enter an Email address different with which you are deleting so that you can later sign in Google dialog box with that account. Then it will ask your permission to verify the email address. Click on “Send Verification Email”. Then sign in that Email account to verify the Email. Open the mail from Google. In that mail, you will see a link to delete your Gmail account. Click on that link. Thus you have deleted your Gmail account permanently. 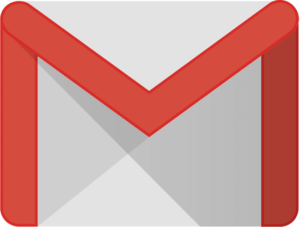 If you want to remove Gmail account from the android device then here is the step by step process to do it. First thing you need to make sure is change the device settings. Then choose accounts option. Click on it. Then you will see all the accounts which you have created in the device. Click on Google, The tap on the “Gmail Account” which you want to remove from device. Then in the upper right side corner of the page, you will see three dots, click on it. You will see the options, choose “Remove Account”. Click on it. Then it will ask your confirmation. Again tap on “remove account”. And this process will delete the Gmail account from Android device. This process only removes your Gmail Account from that Android device, it does not delete the Gmail Account. So this is all about how to delete Gmail Account permanently and How to remove Gmail Account from Android. We have tried to explain the whole process in very easy steps. So if you want to delete your Gmail Account for any reason, you can delete that by following these steps.